I must admit that I was never a fan of lip glosses – my experience with them hasn’t been too good. 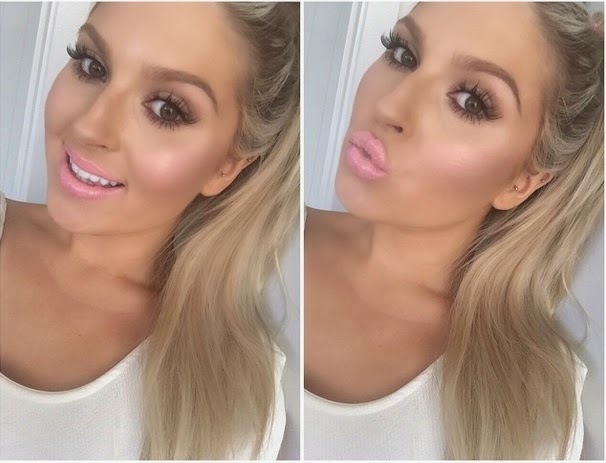 But this can easily change just by watching one of the most recent videos by Shaaanxo, announcing the release of her new lip gloss with Gerard Cosmetics named Candy Kiss. I mean, just the name makes me want to have it. I saw her video and the lip gloss looks amazing on her and it made me believe that it would look stunning on me as well. Whatttt? Two Gerard Cosmetics lip glosses for not more than £13 and free postage? I am going to buy it NOW. Between all those amazing lip gloss shades, I went away with Candy Kiss, of course, and Plum Crazy. What do you think? Do you have Plum Crazy? And also, being from the UK, how long will the delivery take? I read on the website that it can take from 2 to 3 weeks but I just hope that doesn’t take that long! I can’t wait! You can prepare yourself for swatches, reviews and more when I get all the products that I bought today! I am back on track with this blog!